The last Southern California show will be held on Feb. 4 and 5 at the Torrance Courtyard, 1925 W. 190th St. in Torrance, from 1 to 5 p.m. on Saturday and 10 a.m. to 4 p.m. on Sunday. The last Northern California show will be held on Feb. 11, 12 and 13 at the San Jose Courtyard Airport, 1727 Technology Dr. in San Jose, from 1 to 5 p.m. on Saturday, 10 a.m. to 5 p.m. on Sunday, and 10 a.m. to 3 p.m. on Monday. A unique blend of East and West meet when the well-known fashion artist Sachiko Tabata Fitzpatrick brings her creative collection of classic mix-and-match component-wear to her frequent showings. 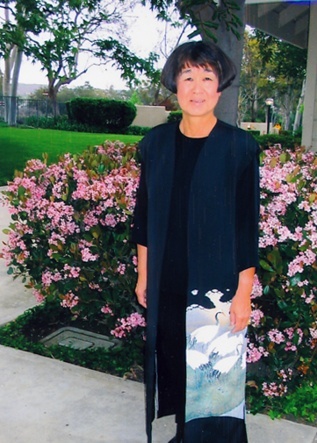 Born near Chandler, Ariz., in Butte Camp II, a government detention camp located on an Indian reservation, Fitzpatrick is a third-generation Japanese American whose journey from that camp ended up in the fashion world. Fitzpatrick evokes the Japanese philosophy of “less is more” and has designed a classically clean, semi-tailored, yet softly fluid line of fashions that speak to today’s accomplished female gender. Her mix-and-match separates allow one to make a true “fashion investment” and to spend for quality, not quantity, and reap tremendous fashion mileage from a select, smart few pieces. Her garments can be adapted from the office to an eveningwear gala, and then to a weekend at a playful resort, then back on Monday morning to an office, all with cleverly tinted layered looks and thoughtful attention to comfort, ease of care and styling cuts that fit and flatter optimally.